Children everywhere deserve to thrive. Yet, there are so many children in this world who are without a family to provide the nurture and stimulation they need to develop normally during the very formative years. What is lost in developmental achievement will be difficult, if not impossible, to restore later in life. Thus, the need for early intervention is huge. Supporting orphanages in developing stimulating learning environments for their children is one of the main thrusts of our mission statement and what we seek to accomplish as an outreach ministry. Along with other organizations that share this vision, we continue to work towards giving children in institutional settings what they need to grow well. Our desire is that none should lose out. The Sacred Portion Children's Outreach was instrumental in establishing a preschool program for the Children's Shelter of Cebu in Cebu City, Philippines in 1999. 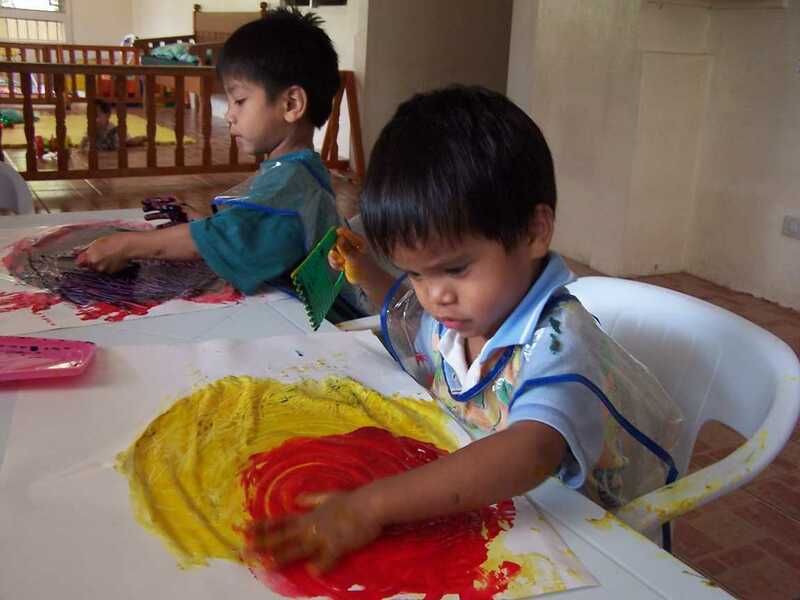 The Sacred Portion Children's Outreach opened its second preschool program in 2004 on the premises of the Rehoboth Children's Home in Sampaloc, Philippines. While the first priority of the Rehoboth Early Learning Center is to provide early education to the children residing at the shelter, the early learning center is open to admission of a limited number of children from the local community whose circumstances are such that they would not otherwise be able to have this experience. 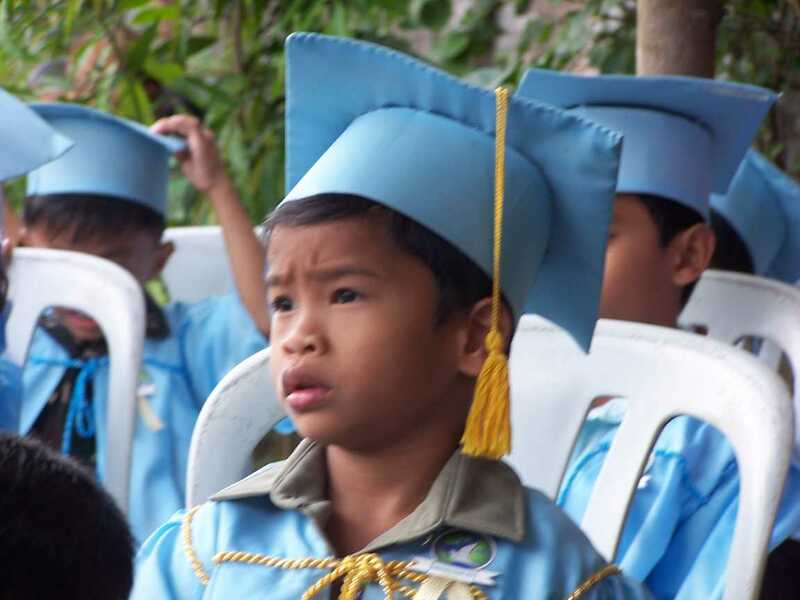 SPCO fully equipped the preschool space and sponsored a teacher to complete a one year course through the Center for Early Childhood Care and Development in Manila. 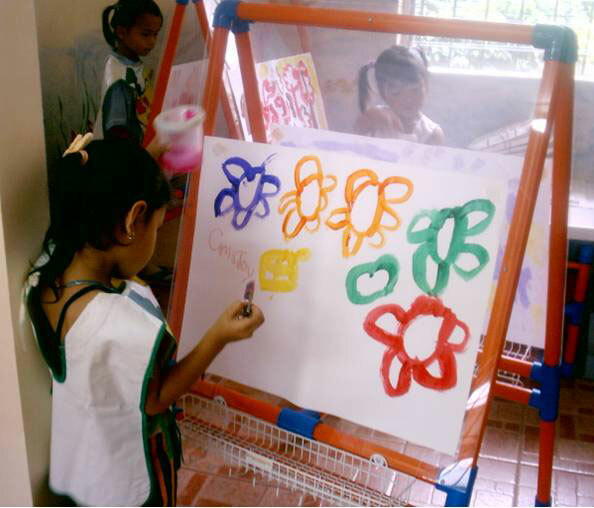 The preschool teacher also spent a week observing the Children of Hope Preschool in Cebu as a model of what a developmental preschool program should look like. In addition to developing early learning programs for preschool age children, we also help orphanages to address the needs of the very youngest children in their care. Toys and equipment were provided through our organization to transform the play rooms at the Children's Shelter of Cebu into stimulating environments for their infants and toddlers. 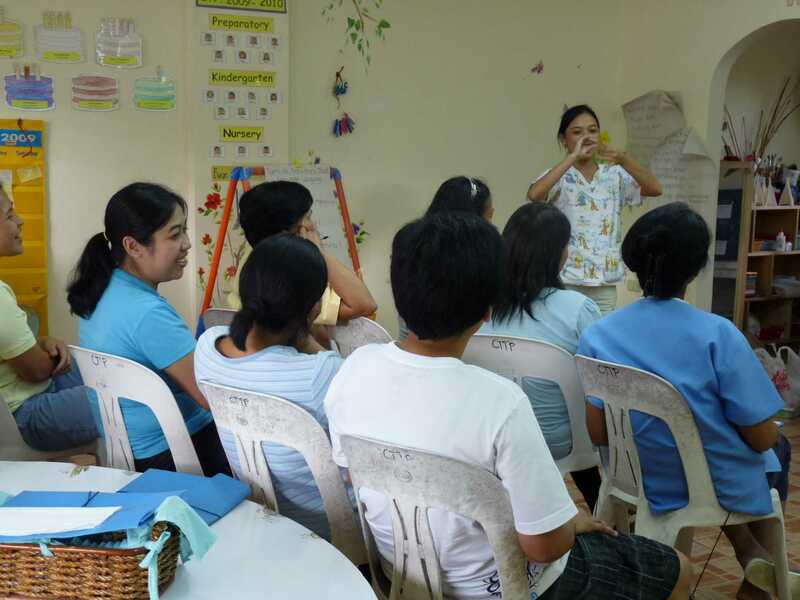 We have conducted training for the caregivers at both the Children's Shelter of Cebu and the Rehoboth Children's Home to help them understand the impact they can have on children's development and that they are indeed the children's first teachers. 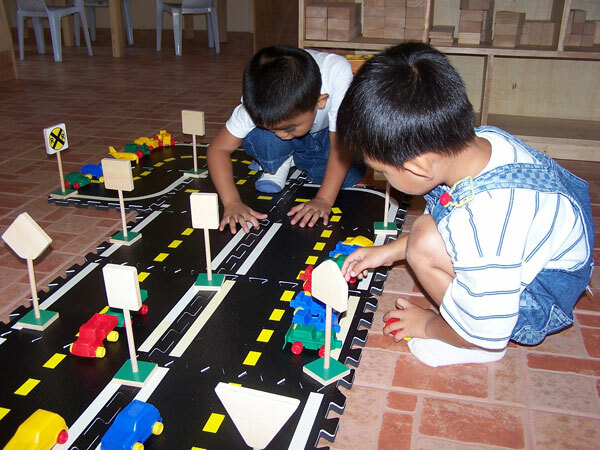 In our trainings, we have covered the developmental stages of infants and toddlers and how to select age-appropriate toys and activities. We have demonstrated the use of creative activities to foster language and cognitive development and have given the caregivers hands-on experience in how to use the daily care routines of infants as opportunities for stimulation and learning. We are currently working with the Rehoboth Children's Home to implement an Active Learning Program for Infants and Toddler and are taking the staff through a training curriculum called the Program for Infant Toddler Care. The Sacred Portion Children's Outreach has also been involved in the vision of Half the Sky Foundation which has as its mission the creation of early childhood enrichment programs within China's orphanages. We traveled to China in July, 2000, as part of a work team, to renovate space inside an orphanage in preparation for Half the Sky Foundation's first pilot preschool programs. Through contributions to our organization, we provided a portion of the educational toys and materials needed for the Little Sisters pilot preschools and infant nurture programs.